A real witch never casually steps out of her body, leaving it empty. Eleven-year-old Tiffany does. And there's something just waiting for a handy body to take over. Something ancient and horrible, which can't die . . . 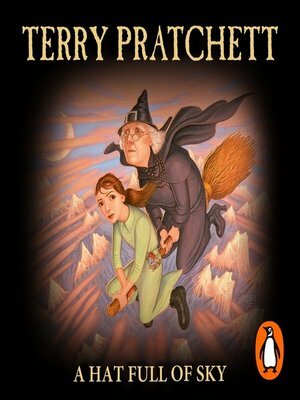 Wise, witty and wonderful, A Hat Full of Sky is Terry Pratchett's second novel about Tiffany and the Wee Free Men - the rowdiest, toughest, smelliest bunch of fairies ever. They'll fight anything. And even they might not be enough to save Tiffany . . .